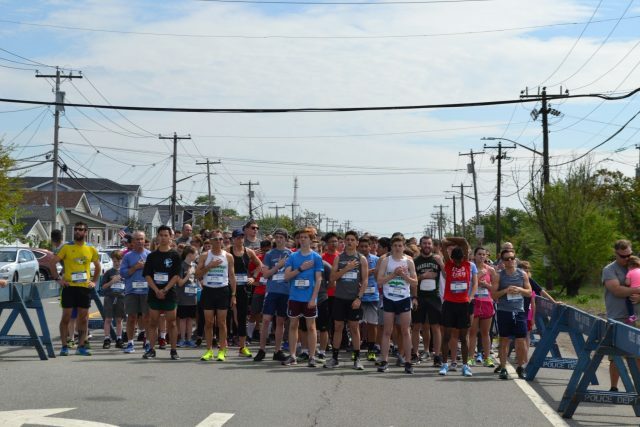 Over 600 runners participated in the 2018 Buckley’s-Kennedy’s Run on Sunday, May 20, 2018 in Breezy Point, NY. Top overall runners were Michael Tuffey, 15, who finished in about 18 minutes, and Katie Henderson, 24, who finished in about 21 minutes. Click here for race results. The Buckley’s-Kennedy’s Run memorialized beloved community members Richie Bollman, Terry Flaherty and Pat Tracy. Rich Bollmann participated in the Buckley’s-Kennedy’s Run since its inception. Rich also volunteered for many other events that supported HeartShare programs, including the Buckley’s Golf Outing, the annual Buckley’s Christmas Party for the children, the annual BBQ for Buckley’s Residence, and much more. In 2009, HeartShare renamed its Clermont Residence as the “Bollmann Family Residence” in honor of Rich’s and his family’s efforts to provide an outdoor gazebo, landscaping and other enhancements to the property for the enjoyment of the residents and in memory of his late son Bobby. Later in his life, Rich became the part-time Maintenance Coordinator for HeartShare’s residential programs, and the men who worked with him honored and respected him as both a mentor and a friend. Terry Flaherty was an avid runner, who not only regularly participated in the Buckley’s run, but he ran 49 marathons all over the world. He was a proud veteran of the U.S. Air Force and worked for the NYC Transit Authority for over 30 years. Patrick Tracy was a “jack of all trades”—bartender, butcher and carpenter—most famously known as the happy hour bartender at The Boardy Barn in the Hamptons. He was the former director of campus ministry at St. Joseph’s College on Long Island and had his mater’s in theology and divinity from St. John’s University. The Family Fun Day Picnic at Breezy Point Ball Field from 11 a.m. – 3 p.m. featured live music by Head Over Heels, entertainment by DJ Suds, games and rides, as well as food and beverages. The proceeds of the event will benefit HeartShare’s Developmental Disabilities programs, including children and adults with Down’s Syndrome, cerebral palsy, and autism. To learn more, visit www.heartshare.org.